Children - YARMOUTH PORT LIBRARY... WHERE YOU FIND MORE THAN JUST BOOKS FOR READERS YOUNG AND OLD! Music and Movement with Denya — Everyone is Welcome! Denya LeVine is back with her multi-cultural, multi-generational Music and Movement program beginning on Friday, September 28th at 11 AM. The program runs through Friday, June 28th. She'll be here on the last Friday of the month at 11 AM. Bring the whole family and join the fun! Stories, songs, and dances from around the world. Music and Movement is sponsored in part by the Massachusetts Cultural Council. in and discuss it with me! 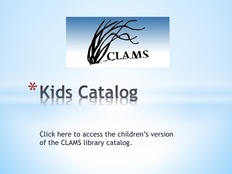 Books, DVDs, and audiobooks for children of all ages. Legos and a puppet theater. Advice on age appropriate materials. Boston Basics uses technology to support and encourage intentional interactions with young children, including reading. The five Boston Basics principles can be accessed at no cost online and include a short culturally respectful video and tips for parents based on ages of their children, between birth and age three. Check out the website here.